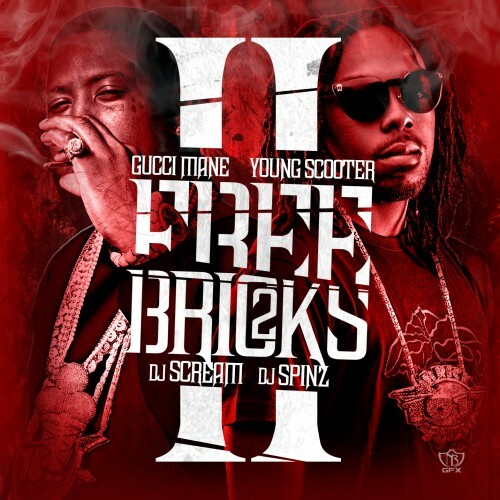 Gucci Mane is back, and he’s bringing the hard sound of the street with his cohort Young Scooter on Free Bricks 2. The two aren’t going it alone on this release. “Remix Rerock” features Brick Squad compatriot Waka Flocka Flame while “Pass Around” sees Wale getting straight ignorant with Mane and Scooter. The beats from the relatively unknown producers credited, including Sonny Digital and Metro Boomin’, clap and menace with the best of them. Stream and download Free Bricks 2 after the jump.